Santa Monica, CA – When you think about smiling, a lot of adages may come to mind: “Grin and bear it,” or “Smile and the world smiles with you.” Yet an increasing amount of studies show that smiling is good for us on many levels. Though you may have heard about them before, there are quite a few ways that smiling can help your body, your mind, and your day-to-day interactions. The Duchenne Smile is the most effective type of smile, as it engages your facial and accessory eye muscles, leading to the benefits listed below. Endorphin release. When you smile or laugh, chemicals called endorphins are sent throughout the bloodstream, causing reduced stress and a better mood. Even if the smile itself is forced, the muscle movement is enough to cause this helpful physiological process. Via a mechanism called facial feedback, the body reacts to the smiling muscles themselves and releases the appropriate chemicals. Faster stress recovery. In a recent study, participants who were made to smile had a significantly faster recovery rate from stressful situations than did their non-smiling counterparts. Smiling can quickly reduce stress and ultimately lower the heart rate. When you’re feeling upset, a simple smile can have dramatic positive effects on your body. Improved trust. If you smile wider and more frequently, you’ll likely be perceived as more honest and dependable. In fact, one study found that the greater the intensity of a person’s smile, the more participants reported deeming that person trustworthy. This is particularly useful if you work with people or children on a regular basis. Smiles are contagious. The old saying is true; smiling can increase the likelihood that those around you will soon smile as well. This is in part due to mirror neurons, brain cells that respond not only to our own actions but to others’ as well. Mirror neurons are in large part responsible for our social interactions and our feelings of empathy. It’s a free way to feel good fast! Smiling is a simple, natural way to instantly boost your mood. Even if you’re not particularly happy, forcing a smile is physiologically the same as a genuine one, so striving for that Duchenne smile will eventually make you feel better. Furthermore, good oral hygiene is essential between visits. Be sure to brush twice a day and floss at least once, and avoid sugary drinks and snacks as much as possible. If you’re interested in getting your smile the best it can be, schedule a free consultation with Dr. Nikaeen today! If you prefer, you can also call us at (310) 444.1113 or visit our Los Angeles-area office. 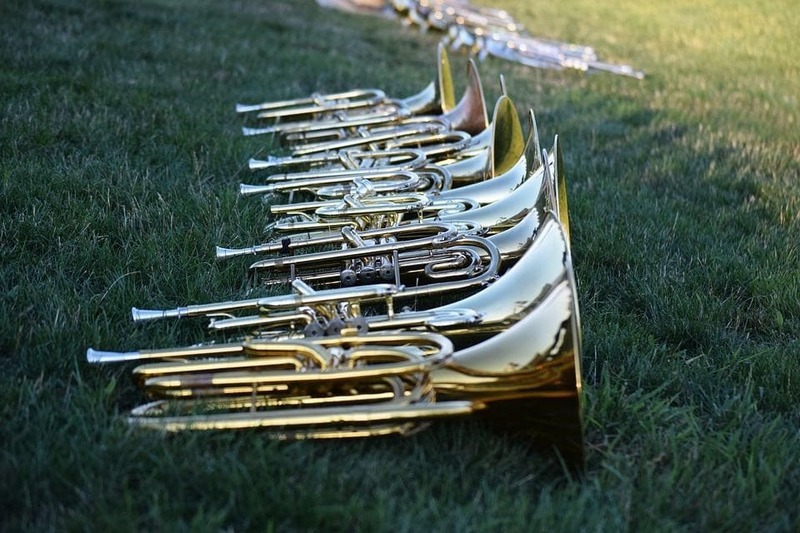 Band Practice and Orthodontics: Can You Play Wind Instruments with Braces?